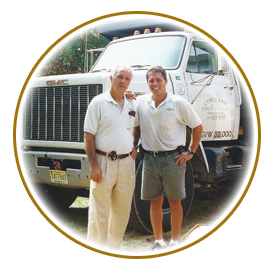 Primerano Contracting has been family owned and operated since 1962. Frank began his career as a bricklayer, completing small sidewalks, retaining walls and steps. With the support of his brother and father he was able to grow his business into Frank Primerano, Contractor. In 1971 he expanded, developed and incorporated as Copeland Construction. His son John Primerano began working with Frank as a young boy, right through high school and college. He became a full member of his dad’s company in 1989 after graduating Seton Hall University with a degree in business. At this time Frank was taking on larger projects such as commercial, residential and industrial including buying and developing land. With John’s help Frank was able to make Primerano Contractors/Copeland Construction what it is today.